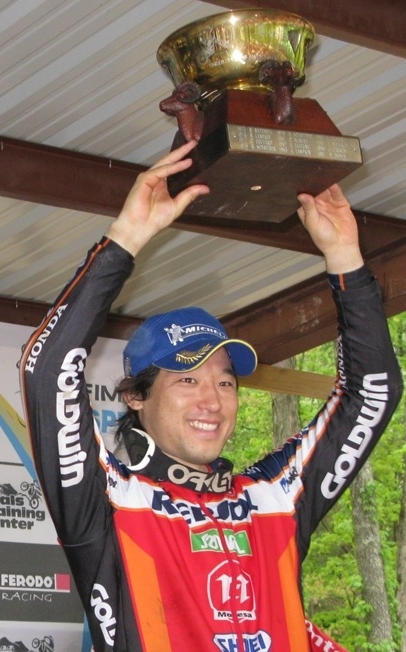 The Wagner Cup has been part of all world championship motorcycle trials events held in North America since 1975. The winner is determined by the lowest score over the combined two days of competition. See this extensive background article on Wiltz when he was inducted into the NATC Hall of Fame in 2005. He’s also featured on the Rocky Mountain Trials Association history page. 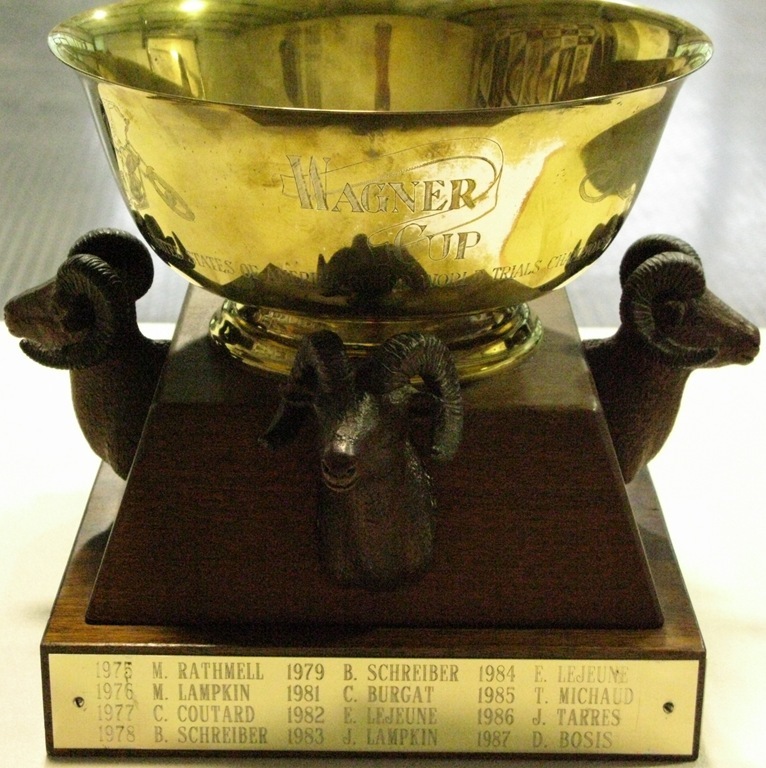 The Wagner Cup, which features four bighorn sheep, is kept permanently at the American Motorcyclist Association (AMA) headquarters in Ohio. The name of every North American world-round winner since 1975 is engraved on the cup. 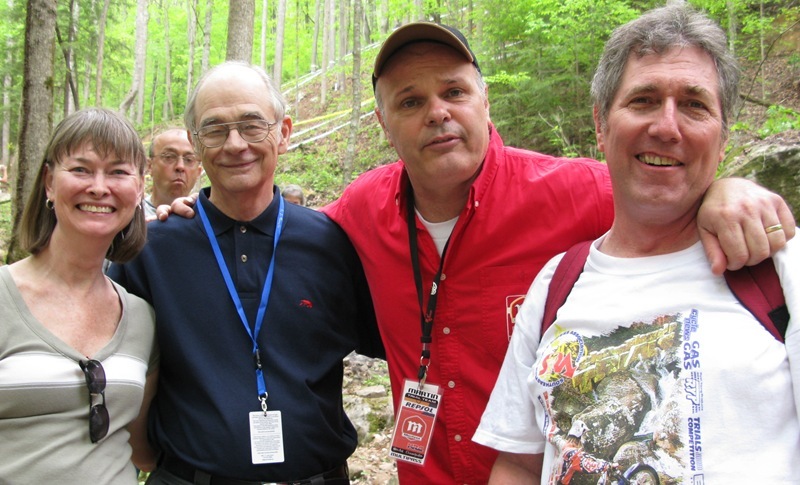 Above left photo: Wiltz Wagner, second from left in the blue shirt, out on the loop at the 2008 USGP with Martin Belair (red shirt), AMA’s Roger Ansell (far right), and Roger’s wife (far left). 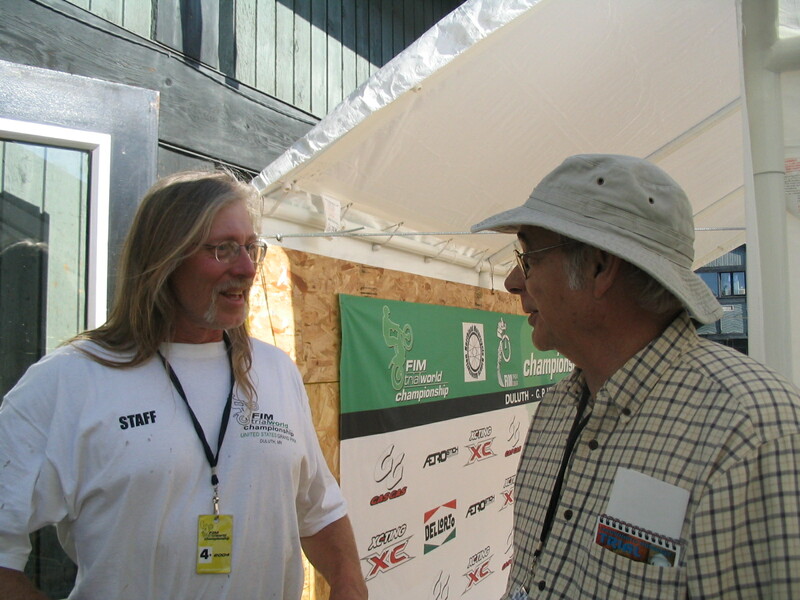 I took these photos of Wiltz at the 2004 USGP in Duluth, MN. 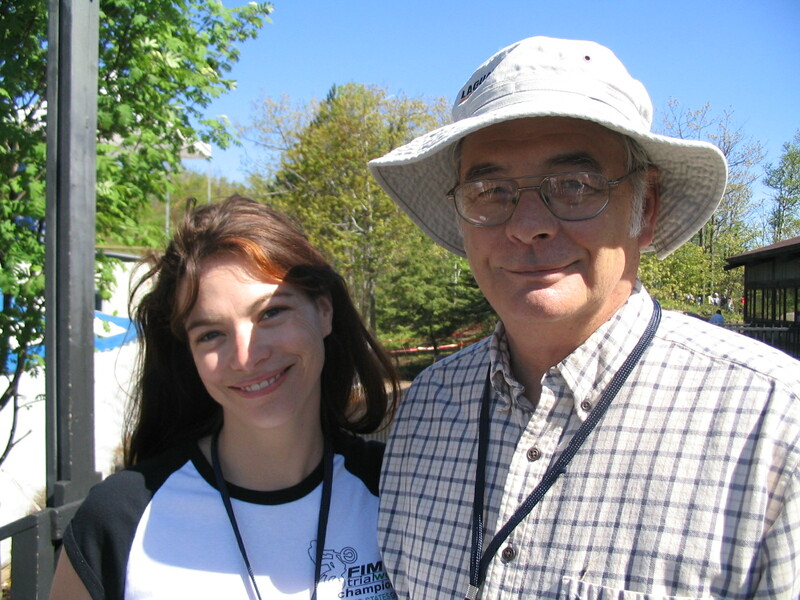 Left: with event organizer Steve Ahlers. Right: with his daughter Belen. Wiltz’s was also a physician and professor. He was the Vergil K. Stoelting Professor of Anesthesia at Indiana University from 1995-2005. The Wagner Cup has been part of all world championship trials events held in North America since 1975. The cup is named for Wiltz Wagner, a founding member of the North American Trials Council (NATC). 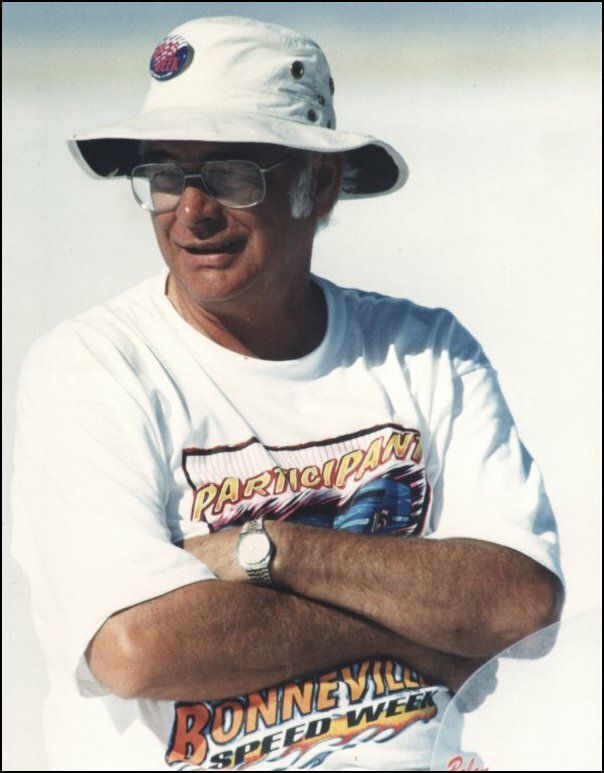 Wiltz is widely considered to be “the father of American motorcycle trials.” He was inducted into the NATC Hall of Fame in 2005 (comprehensive background). See more about Wiltz on the Rocky Mountain Trials Association history page. That’s Wiltz in the photo, second from left in the blue shirt, out on the loop today with Martin Belair (red shirt), Roger Ansell (right), and Roger’s wife (left).